My sister married out to a lovely man and seems happy. I am an observant Jew, Conservative as we were raised, and her becoming less Jewish has not affected our relationship. We are still close. 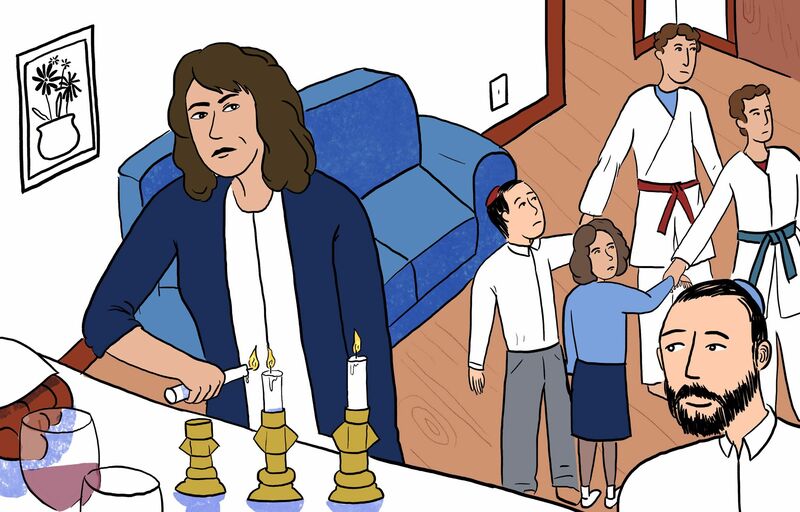 In their house they do a little Judaism, nothing major, and also celebrate a non-religious Christmas and Easter. If anything, they are secular. In the past year or so her sons, 11 and 13, have started to gently mock the fact that our kids (girl 8, boy 10) are observant. They tell them that Shabbat is boring, that karate, or whatever else they are into at the moment, is more fun than Hebrew school, and stuff like that.